Want to view some amazing art? 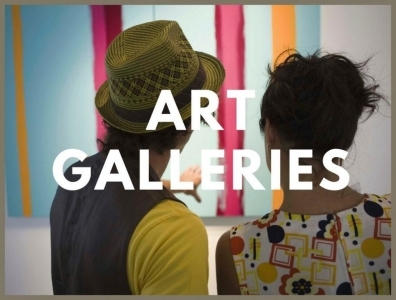 We made a list of some art galleries in CT and NY! After working at the Metropolitan Museum of Art, the Guggenheim Museum and the Marlborough Gallery, Amy Simon opened her own art gallery in Westport. Her gallery specializes in work by mid-career and emerging artists, contemporary blue-chip editions, and Asian contemporary art. The gallery's inventory and exhibitions reflect its eclectic interests and expertise in these areas. Open Tues - Sat, 11:00 a.m. - 5:30 p.m. and by appointment. Located at the Pearl Restaurant in Westport, Gallery @ Pearl hosts one-artist shows celebrating and supporting the work of the local artist community. The Gallery features a new artist every two months, and all art work is for sale. Current artist is Veronic Hofstetter. Newton Roux Gallery is located in Bedford Square in downtown Westport and exhibits primary market work of emerging realist and abstract painters. The gallery hosts eight exhibitions per year, each running approximately six weeks. Every exhibition begins with an opening reception open to the public. The gallery is open during the normal business hours of Bedford Square, or by appointment. Picture This is a custom framing and fine art Nylen gallery in Westport. There are framing options and preservation solutions for every kind of art. Galleries feature a wide - array of styles and are usually on display for 3 months. Hours are Mon - Fri, 10:00am - 5:30pm, and Saturday 10:00am - 5:00pm. The Westport Arts Center strives to connect the community through the arts. Their mission is to make a positive difference in the lives of children. The Westport Arts Center gallery is free and open to the public, but tailored tours can also be scheduled on their website. Open Mon-Sat 10:00am-5:00pm; closed Sun. The Westport River Gallery features distinctive European, American & Asian fine art. The gallery works with varying levels of art collectors, with art styles including impressionistic, realistic, abstract & modern. Open Wed-Fri 11:00am-4:00pm; Sat 11:00am-5:00pm; Sun 12:00pm-4:00pm, or by appointment. 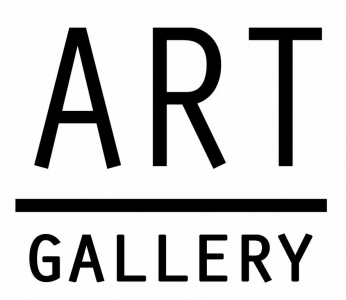 The Art/Place Gallery provides a diversity of art types including works in oil, acrylic, watercolor, photography, various forms of printmaking, collage, and digitally produced art. Open Thurs-Sat 12:00pm-4:00pm; Sun 2:00pm-5:00pm and during Fairfield Theatre Company’s normal business hours. The J. Russel Jinishian Gallery, Inc is the nation’s largest gallery specializing in fine marine and sporting art. Their unique art gallery has featured an extensive inventory of over 1,000 paintings, drawings, sculptures, ship models, and scrimshaw, by over 100 of the world’s leading marine and sporting artists since 1997. Open Tues-Sat 11:00am-5:00pm or by appointment. The C. Parker Gallery is a great place to view art as well as purchase art for your home or office. Artwork ranges from investment grade to the whimsical and from traditional to contemporary, reflecting the gallery’s vision to be a premier art resource for individuals, interior designers Spanning nearly 100 years, and corporate collections. Check website for monthly exhibitions! Open Tues-Thurs: 11:00am-5:00pm, Fri-Sat: 11:00am-6:00pm, Sunday: 12:00pm-4:00pm. On top of offering classes and workshops, the Greenwich Art Society School of Visual Art also has an art gallery on the second floor. Featured work in the gallery is from members, faculty, students and other selected artists. There are also annual exhibitions in the Bendheim Gallery of the Greenwich Arts Council, the Flinn Gallery of the Greenwich Library, the Gertrude White Gallery of the Greenwich YWCA and at the Garden Education Center of Greenwich, as well as individual artist exhibitions. Office hours Mon - Fri, 9:30am-12:30pm. Geary Gallery is well-known as a preeminent Fairfield County gallery for representational art. Within the context of realism, the Geary’s art gallery exhibits a minimum of five different artists each month. Some of the more notable artists are Peter Max, John Stobart, Andrew N. Wyeth, and Ray Ellis. Open Tues - Sat, 9:30am - 5:00pm. LoveArt specializes in contemporary, urban, and pop art. The gallery offers an exhibit full of unique and original art from both local and international artists. The gallery also has an adjoining studio where artists work on projects as well as teach classes and workshops in a variety of techniques. This gallery is currently closed but is doing pop ups until they are in a new location. Rowayton Arts is always hosting a new exhibition, whether it be with photography, sculptures, or brushwork concepts. There are also special events such as open sketch and workshops for adults and children. Hours are Tues-Fri, 11:00am-5:00pm and Sat, 11:00am-2:00pm. The Saint Philip's Artist Guild is an active community of artists located in the Oakhill Mansion on the grounds of St. Philip Church. They are dedicated to supporting each other’s creative growth, developing new and inspiring works of art, and continuing to expand their audiences. Become a member and share your work today! Silverman Arts Center features paintings, photography, and photos of any style: contemporary, expressionism, cubism, you name it! Work in the gallery is done by students, faculty, and members of the Art Center. Hours are Mon-Thurs, 12:00pm-5:00pm, Fri, by appointment, Sat, 12:00pm-5:00pm, Sun, 1:00pm-5:00pm. The Southport Galleries focuses on contemporary artists ranging styles from abstracts to hyper-representational views of scenes close to home and beyond. Hours are Wed-Sat 11:00am-5:00pm or by appointment. 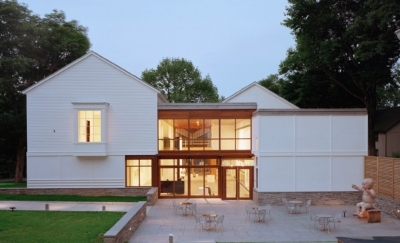 The Aldrich Contempary Art Museum is dedicated to fostering the work of innovative artists and is one of the few independent, non-collecting contemporary art museums in the U.S. and the only museum in CT devoted to contemporary art. 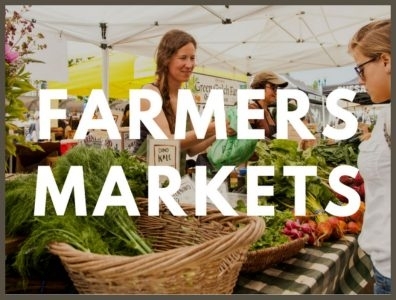 Open Monday & Wed-Fri 12:00pm-5:00pm; Sat 10:00am-5:00pm; Sun 12:00pm-5:00pm. Artspace is a visionary and dynamic non-profit organization championing emerging artists and building new audiences for contemporary art. Its exhibition and commissioning programs (in the gallery, out of doors, and city-wide) encourage experimentation, discovery, and lively civic discourse, while fostering appreciation for the vital role that artists play in improving our community. Multiple exhibitions are displayed each month, all reflecting a contemporary style. Open Wed & Thurs, 12:00pm-6:00pm, Fri & Sat, 12:00pm-8:00pm. Kehler Liddell Gallery offers multiple exhibitions throughout the year. The current exhibition is Keith Johnson, open January 17 to February 10. Artists at Kehler Liddell Gallery represent all different styles of art and are dedicated to representing critical perspectives that challenge and illuminate culture and enrich aesthetic experience. Open Thurs & Fri, 11:00am-4:00pm; Sat & Sun, 10:00am-4:00pm, or by appointment. Yale Center for British Art houses the largest and most comprehensive collection of British art outside the United Kingdom. Open Tues-Sat 10:00am-5:00pm; Sun 12:00pm-5:00pm. Yale University Art Gallery houses a significant collection of art that embraces all cultures and periods, but emphasizes early Italian painting, African sculpture, and modern art. Open Tues-Fri 10:00am-5:00pm; Thurs (Sep-June) 10:00am-8:00pm; Sat-Sun 11:00am-5:00pm. Gallery 52 is a popular destination for interior designers, art collectors and local clientele who need museum quality framing and restoration services as well as in-home consultations. Gallery 52 represents and exhibits original art and prints by well-known New York artists Steve Alpert, Ann Packard and Adrienne Mierzwa, as well as famous photographers such as Jo-Bryan and Jo Ann Cancro. Hours are Tues-Sat, 10:00am-5:00pm. Studio A is a fan favorite for many New Yorkers, especially when it comes time to purchase some new artwork to spruce up those walls! Works include realism, impressionism, handcrafted jewelry, and so much more. West Art is a gallery and framing studio. The gallery features pop art, sports art, vintage, abstract florals, and many more unique styles. Special services include diplomas, custom framing, and restorations. Open Mon-Sat, 10:00am - 6:00pm and Sun from 11:00am - 4:00pm.